(Fort Lauderdale, FL) –August 18, 2016 NSU Art Museum Fort Lauderdale is pleased to announce that David Horvitz, Chairman of the museum’s board of governors, and artist Francie Bishop Good, his wife and fellow board member, have made a promised gift to the museum of 100 works from their highly regarded collection of contemporary art. With an emphasis on multi-cultural and women artists, the works date from 1978 to 2013, and fill a gap in the museum’s 6,000-work encyclopedic holdings. They will become an important educational resource for students and the community. Among the artists represented are: Cecily Brown, Tracey Emin, Teresita Fernandez, Nan Goldin, Barbara Kruger, Ana Mendieta, Catherine Opie, Cindy Sherman, Amy Sillman, Lorna Simpson, Kiki Smith, Mickalene Thomas, and Kara Walker. The promised gift will be part of Realizing Potential: The Campaign for Nova Southeastern University, the largest philanthropic campaign in the university’s 52-year history and in the history of Broward County. $250 million will be raised through this campaign. Another $300 million will come from sponsored research, service, and training programs. NSU Art Museum will display approximately 70 of the newly acquired works in the exhibition Belief + Doubt: Selections from the Francie Bishop Good and David Horvitz Collection, on view from August 26, 2016 – January 22, 2017. The exhibition’s title is inspired by one of the highlights of the collection, Barbara Kruger’s Untitled (Belief + Doubt = Sanity), 2008, a conceptual work referencing the philosophical nature of contemporary art and an underlying theme of the collection, which instills wonder in the viewer as it questions foundations of beliefs and contemporary life. Among these works are Cindy Sherman’s Untitled Film Still #19, two early silhouette collages by Kara Walker, a painting by Mickalene Thomas, neon work by Tracey Emin, digital animation by Jennifer Steinkamp, wall relief by Teresita Fernandez and woven trompe l’oeil sculpture by Miami artist Frances Trombly, all of which will be on view in the NSU Art Museum exhibition. Among other artists in the exhibition are: Ghada Amer, Louise Bourgeois, Sophie Calle, E.V. Day, Ann Hamilton, Wangechi Mutu, Shinique Smith, Carrie Mae Weems, and Sue Williams. David Horvitz and Francie Bishop Good are leading collectors and advocates of the arts who have been members of NSU Art Museum’s Board of Governors since 2007. David Horvitz is currently serving his sixth year as Chairman of NSU Art Museum’s Board of Governors. Francie Bishop Good’s artwork has been exhibited throughout the United States, Europe and Latin America and is included in public and private collections. In May 2016, NSU Art Museum received a $1 million challenge grant from the David and Francie Horvitz Family Foundation to support exhibitions, programming and operations. This gift followed NSU Art Museum’s successful fulfillment of the Horvitz Family Foundation’s $1.5 million challenge grant to the museum that was announced in 2013. In 2006, the couple established the Fort Lauderdale, Florida alternative arts space, Girls’ Club, which has a mission of educating the public, nurturing the careers of female artists, and serving as a resource for students, scholars, curators and practicing artists on the contributions of women to the field of contemporary art. On view at NSU Art Museum Fort Lauderdale from August 26, 2016 – January 22, 2017, this exhibition provides a snapshot of contemporary art from the 1990s to the present, with works by more than 60 artists. The exhibition is organized by NSU Art Museum and curated by Bonnie Clearwater, Director and Chief Curator. Major funding for this exhibition is provided by James L. Bildner Charitable Trust and Northern Trust. Additional support provided by Sotheby’s. For additional information, visit nsuartmuseum.org or call 954-525-5500. The museum is located at One East Las Olas Boulevard, Fort Lauderdale. Follow the museum @nsuartmuseum.org. Founded in 1958, NSU Art Museum Fort Lauderdale is a premier destination for exhibitions and programs encompassing all facets of civilization’s visual history. Located midway between Miami and Palm Beach in downtown Fort Lauderdale’s arts and entertainment districts, one of the fastest growing regions in the U.S. The Art Museum’s distinctive 83,000 square-foot modernist building opened in 1986, and was designed by renowned architect Edward Larrabee Barnes. It contains over 25,000 square feet of exhibition space, a 256-seat auditorium, museum store and cafe. Bonnie Clearwater, who became NSU Art Museum Fort Lauderdale’s Director and Chief Curator in 2013, directs the museum’s international exhibition program. Among the highlights of its celebrated 6,000-work permanent collection is the largest collection of paintings and drawings by American realist William Glackens, the largest collection in the United States of post-World War II avant-garde Cobra artists of Brussels, Copenhagen and Amsterdam, and an extensive collection of Latin American and Cuban art. 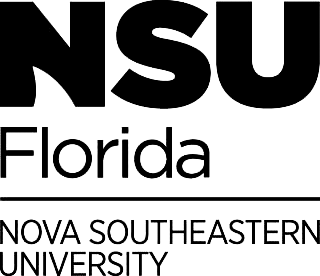 In 2008, the Art Museum became part of Nova Southeastern University, one of the largest private research universities in the United States.